How do I recruit a peer-to-peer fundraiser for my campaign? From the Overview tab in your Admin Dashboard select the Campaign overview button. Then click the Manage button beneath the campaign or event you'd like to recruit fundraisers for. 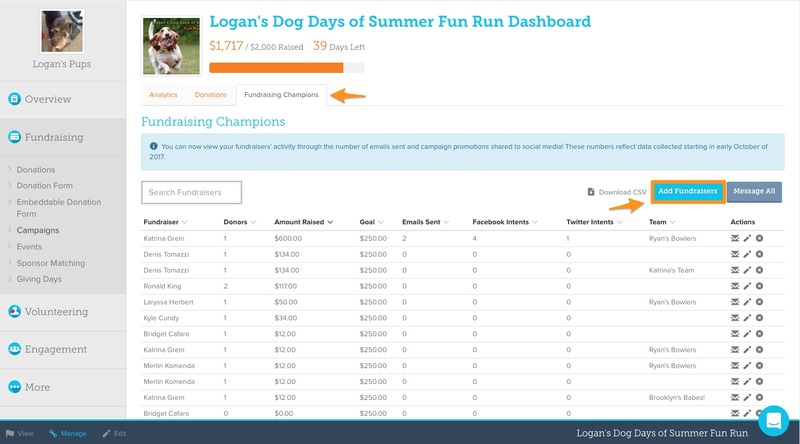 Navigate to the Fundraising Champions tab of your Campaign Manager. Once you're in the fundraisers tab, click the "Add Fundraiser" button. You'll have the option to add one fundraiser or add multiple fundraisers at a time. 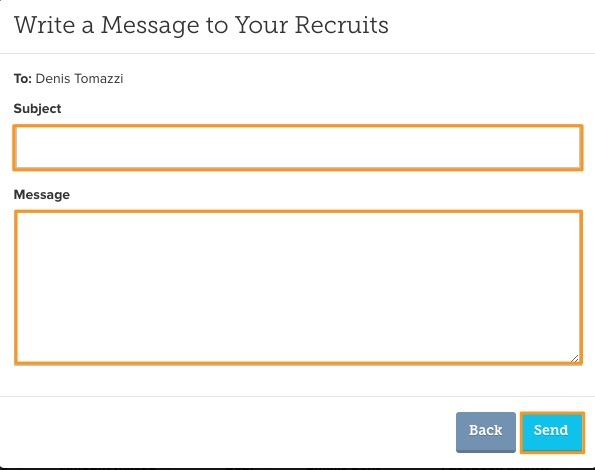 Once you've inputed the name and email of the fundraiser(s) you'd like to add, click Next to compose your recruitment email. Add a subject to your email and a message letting your fundraiser(s) why you're recruiting them to raise money for your campaign and the impact they'll have. Once your message is complete, click Send.